Book shows can be stuffy places. Whether it’s listening to someone wax pedantic about first editions or getting told off for daring to touch a book you look too poor to purchase, there’s a certain prim atmosphere that can spoil some of the fun. Thankfully, books like Kokigami are there to save the day. What do you notice about this book? The title is Japanese, and there’s a picture of what appears to be an origami pig. So then–kokigami is origami? Perhaps an animal-specific subcategory thereof? That’s accurate, so far as it goes. But take another look. What’s sticking out of that little pig’s mouth? If you said “a bellend,” you are correct! And also probably British! But, more importantly for our purposes, correct! As the authors of this book explain, kokigami is “the art of the little paper costume.” To put a finer point on it, kokigami is fancy dress for your dipstick. As someone who lived in Japan, and also someone with plural brain cells who can type things into Google, I am burdened with the sad necessity of informing you all that kokigami is not real. At least, it’s not a practice that has risen to any kind of cultural prominence. Yet. Dreamers of the world, hear my plea: let’s make kokigami a thing. We’ll start with a kokigami meet-up, tentatively scheduled for October of 2025. It will be held on the moon, which, thanks to all the people standing around with paper masks on their dongs, will be only the second most ridiculous thing about it. I don’t know how to use Kickstarter, but as soon as I figure it out, I’ll kickstart the hell out of this project. Crowd-funded video games and potato salads of the world, prepare to meet your match! Until the day my dream becomes a reality, let us keep kokigami (cocky-gami–get it? GET IT?) in our hearts and minds. 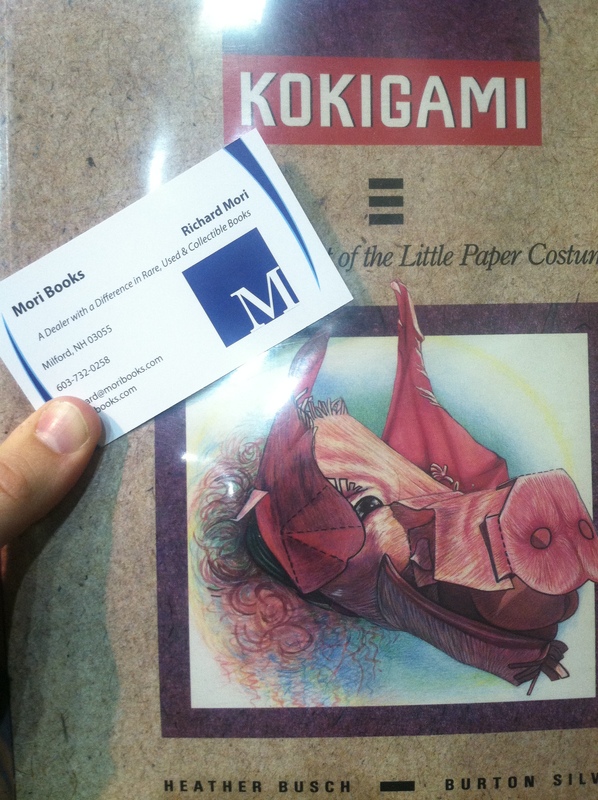 This entry was posted in Books, Weird Books and tagged book show, books, kokigami, origami, penises on October 11, 2014 by joannalesher.